Tidal has lost its second CEO in three months after Peter Tonstad was let go from the company on Tuesday. A Tidal official told the Wall Street Journal: "We are thankful to Peter for stepping in as interim CEO and wish him the best for the future." Tonstad replaced the previous CEO, Andy Chen, in April as a temporary measure while the company searched for a permanent replacement. Tidal will now be run by executives in New York and Oslo while it searches for a permanent CEO, according to reports. Is Spotify worth more than the entire music industry? Tonstad served as CEO of Aspiro, the parent company of Tidal, which Jay-Z acquired in March for $56 million. At that point Andy Chen was put in charge of both streaming services, but he left in April and Tonstad took the reins. Tidal has suffered with staffing issues since its high profile launch in spring. Breakit, a Swedish newspaper, has reported that since then around 25 employees have been "forced to leave" the company. 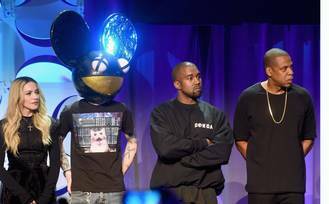 Tidal, Jay-Z’s music streaming service, has lost its second CEO in three months after Peter Tonstad was let go from the company on Tuesday. Taylor Swift, Hydro Glasgow, review: Two-hour hyperactive spectacle is a triumph for both the artist and her fans. Jessie J has undergone an operation for an unknown condition. The film industry has lost one of its biggest talents with the passing of composer James Horner, who died in a plane crash in California aged 61. Ed Sheeran's hit single "Thinking Out Loud" has become the first to spend a whole year inside the UK's Top 40. Paul McCartney dedicated a Beatles ballad to the victims of the Charleston church massacre as he voiced hope for peace among races. Justin Bieber and his mentor Usher are facing a $10 million copyright trial after being accused of stealing their song "Somebody To Love" from another of the same name. Former Oasis member Noel Gallagher is currently at work on his next album, the singer confirmed Friday. Glastonbury and Worthy Farm may go together like mud and wellies, but festival founder Michael Eavis has revealed that the Pyramid Stage may soon have to find another home. Florence + The Machine to stand in for Foo Fighters at Glastonbury.